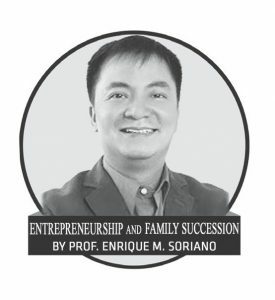 In my years of doing consulting work for my firm, Wong+Bernstein Family Advisory, one significant variable in family enterprises is the effect that in-laws have on family owning businesses. They can either be a positive contributor or can be a huge burden to the family and the business. And I have encountered dozens of family businesses threatened and impaired by the actions of in-laws. Business owners must realize that they will never know who their children will choose as partners. Not even the most controlling family business owner can determine his children’s final choices. So no matter how you look at in-laws, they will always play a huge role in the way your children will manage the business and the family especially when you are no longer around. But while you are still at the helm, owners must recognize that unity, governance, wealth transition and legacy building efforts should always be in place before proceeding with your plan in bringing in-laws to the business. In Asia, hiring in-laws is correlated to culture and necessity. For start-up businesses where resources are limited, in-laws are usually relied upon to help in the business and fill the void. Their engagement is significant as they not only play a pivotal role in the growth of the business but they end up becoming a natural extension of the founder’s trust. In a latter’s circle of trusted people in the organization, in-laws are classified as part of the “cheap labor” pool of relatives and friends. However, problems generally surface when the business transitions from a mom and pop venture to a bigger and complex organization. Despite the transition, the owners often disregard the importance of establishing rules and policies related to in-law entry. Should the in law be subjected to the same treatment as family members or should they be treated differently? How do you compensate In-laws working in the family business? Will they have the same benefits as any ordinary non family professional? Or have perks similar to that of the children? Will they be made to sign an employment contract and be subjected to the same performance metrics? What are the consequences for an underperforming in-law? Can he or she be suspended or terminated?